Katie Meschke was the writer for the article and did an excellent job putting the whole thing together. Thanks Katie! 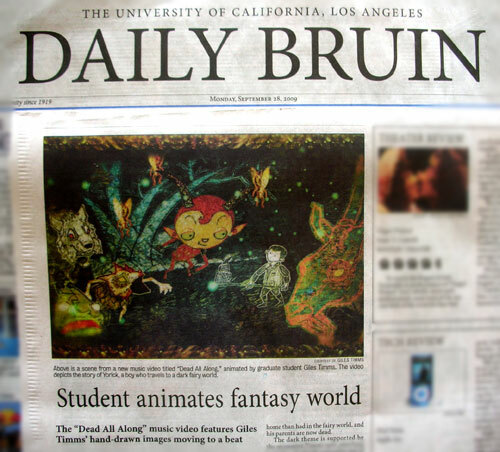 Also, thanks to Maryia Krivoruchko, the musical editor at UCLA Daily Bruin newspaper! ‘Dead All Along’ was created at the UCLA Animation Workshop at UCLA’s School of Theater, Film and Television.